The Azores archipelago has a set of characteristic natural features, due to its combination of humid, temperate climate and volcanic shaped geomorphology. The region has a large potential for tourism, as well as important agricultural and fisheries resources. Climate change studies in the Azores are therefore of the utmost importance, since the island's economy depends in a large part on its natural resources. Preliminary results indicate temperature anomalies for Terceira and São Miguel Islands ranging between +1.2 and +2.3º C for the 2070-2099 period, when compared to the control period 1961-1990. But the greatest estimated impact of global warming may be the change in annual precipitation distribution, with wetter winters and the other seasons becoming drier. This could have a significant impact on the islands' water resources, increasing severe precipitation events in winter and imposing water deficit stresses in summer. 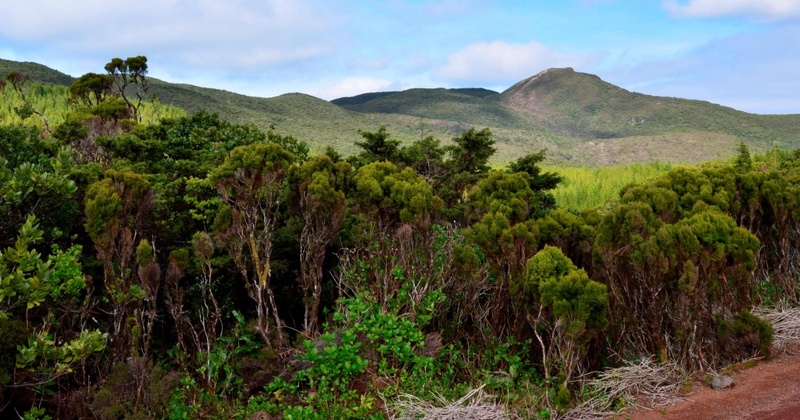 The main goal of this Project is to evaluate the implications of climate changes for Azorean biodiversity, using the A2 and B2 temperature and precipitation scenarios, in the 2070-2099 period, for Terceira and São Miguel Islands. Arthropods, bryophytes and vascular plants are the target taxonomic groups. Namely we aim to: a) Develop species and assemblages distribution models (present and future) for native and invasive arthropods, bryophytes and vascular plants; c) Evaluate potential effects of global changes on ecosystem services (namely water balance and climate regulation); d) Generate information to include in the Regional strategy for Climate Changes of the Azorean Regional Government. This Project will be developed in five main phases that will in some cases overlap: 1) Gathering of environmental data; 2) Gathering of biological data and management of a cyberinfrastruture; 3) Gathering of CIELO model matrices for 2070-2099 period; 4) Creation of species and assemblages predictive distribution (present and future) models; 5) Evaluation of the impact of climatic changes on ecosystem services (namely water balance and climate regulation) and in the current conservation networks in Azorean islands. The knowledge on the effects of global change on assemblage diversity will inform on the potential effects of these changes on ecosystem services. Our research will also provide an important contribution to the selection and/or refinement of protected areas through the comparison of diversity values derived from current and future climatic scenarios. Our research program will also generate comparative data on species and communities at both intra- and inter-island scales. Our strategy of close liaison with policy and decision-makers will ensure that the information generated by the project can be implemented in the establishment of future research, management and conservation priorities. Regional Directorate for Science and Technology (M2.1.2/F/005/2011). Dr. Miguel Araujo, Director of the BIOCHANGE Lab and Senior Researcher of the CSIC at National Museum of Natural Sciences, Madrid, Spain. And also a Senior Research Associate, Oxford University Centre for the Environment, UK.